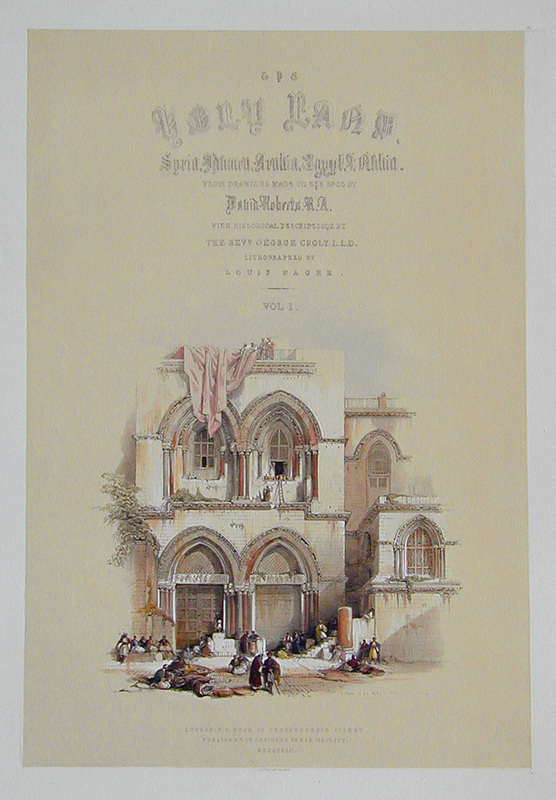 Comments: The most popular of the Holy Land Title Vignettes, depicting the entrance to the Church of the Holy Sepulcher. Price: $700 uncolored, $850 colored. Title: Entrance to the Church of the Holy Sepulcher - Title Vignette. Image: Approx. 12 11/16" x 18 11/16"